In his cosmographic study of the Copernican Revolution,The Poetic Structure of the World (1987), Fernand Hallyn entirely re-envisions the foundations of modern science. Instead of reading Copernicus’ break with the geocentric scheme as a rejection of the enchanted cosmos of the ancient world, Hallyn makes clear that Copernicus himself believed he was only making ancient Platonic and Hermetic doctrines more plausible. “At rest…in the middle of everything is the sun. For in this most beautiful temple, who would place this lamp in another or better position than that from which it can light up the whole thing at the same time? For, the sun is not inappropriately called by some people the lantern of the universe, its mind by others, and its ruler by still others. 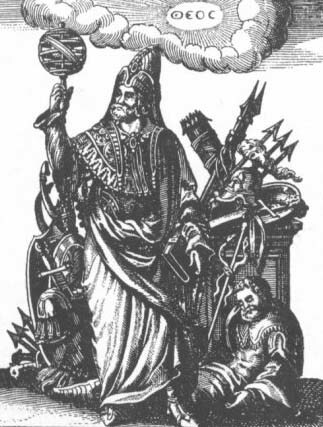 The Thrice Greatest [Hermes Trismegistus] labels it a visible god, and Sophocles’ Electra, the all-seeing. Thus indeed, as though seated on a royal throne, the sun governs the family of planets revolving around it” (p. 22, On the Revolutions, 1978). Quentin Meillassoux, in After Finitude, credits Copernicus with decentering earthly humanity in the universe; however, according to Hallyn, Copernicus also re-enacted the Platonic notion of astronomy as as divine science. In effect, through a rent in the imaginal fabric of the medieval sense of the sky, Copernicus caught a ray of light from a new heaven (or perhaps, in a gleam, saw heaven in a new way): he perceived the solution to the problem of the planets in the heliocentric theory; he stole fire from Zeus and elevated humanity to the status of the gods. “It is highly unlikely,” he writes, “that anyone lacking the requisite knowledge of the sun, moon, and other heavenly bodies can become and be called godlike” (p. 7, On the Revolutions). Ptolemy, a more empirical and Aristotelean astronomer, humbly denied that the human mind could finally perceive the secret meaning of the planetary movements, since this secret was safely tucked away in the mind of an unmoved transcendent God existing above the vault of heaven. As far as Ptolemy was concerned, hypotheses were all the human mind could hope for: we can but “save the appearance” by offering clumsy descriptions of the universe as if it were a mechanical gear-works originally rigged up by a now absent divine Architect. Perception of the inner truth of things was deemed forever beyond the capacity of the finite human being. 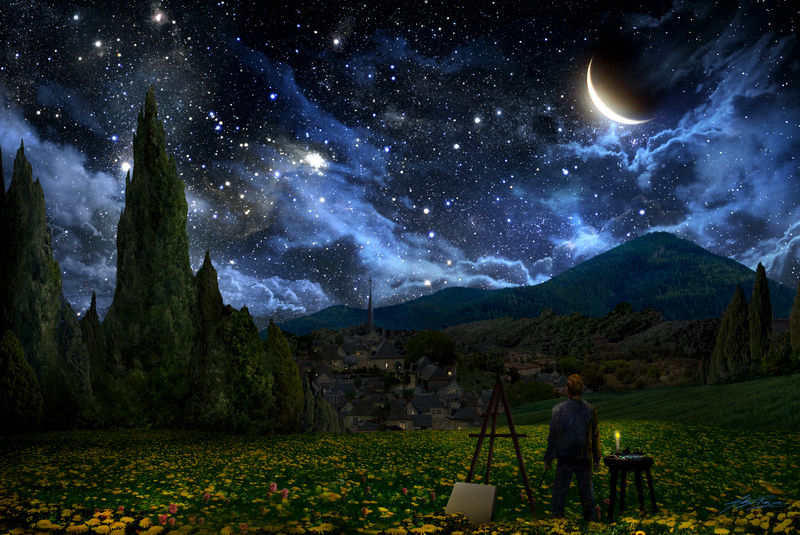 Copernicus’ intellect caught fire in his contemplation of the stars. His was the Hermeticist‘s method: to know through identity, to learn the song and dance of eternity’s moving image by becoming one with the everlasting Soul animating the whole. Half a century later, Kepler was able to simplify Copernicus’ geometry by allowing for elliptical orbits. He was also able to clarify the theological implications of heliocentrism by pointing out that a decentered earth is actually the perfect place for a contemplative creature such as ourselves to observe and come to understand the order of the universe. “If the earth, our home, did not measure the annual orbit of the other planets –changing from place to place and station to station– human reason would never have arrived at knowledge of the precise intervals of the planets and other things that depend on those intervals; it would never have instituted astronomy” (p. 366, Selected Works, vol. 6, 1938). In other words, Kepler analogizes the relationship between creature and Creator to that between an earth’s eye view of the solar system and a sun’s eye view. From the sun’s perspective, only a God with a priori knowledge of the spheres could understand their design, whereas on earth, a being capable of “the labor of reason” (p. 66, ibid.) could uncover their design in the course of time (a posteriori) as a result of the comparison of their relative motions. Man is like God, except man’s knowledge becomes in time, a moving image of God’s timeless wisdom. 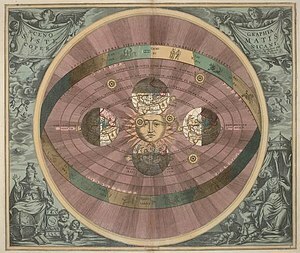 The Copernican Revolution, according to Hallyn, was a victory for speculative organicism, for the idea that symmetry and systematicity are behind the appearances of nature, rather than the mechanical motion of separately and haphazardly arranged parts, as in Ptolemy’s model. But by the time of Newton, a conceptually degraded Copernicanism had provided the necessary conceptual foundation for the complete replacement of qualitatively differentiated, concrete space with the abstract, homogenous space of Euclidian geometry. As the Scientific Revolution marched onward, the enchanted and participatory cosmos of the Renaissance was forgotten in favor of an increasingly “objectified” universe devoid of “subjective” meaning. It seems to me that another jolt of promethean imagination is necessary to complete the noösphere’s phase transition from the current, epicyclic materialistic paradigm –where subject and object remain sundered– into a more integrated vision of the cosmos as a living whole. Amazing I logged on in Spain (Palencia) almost as you were writing this. I had just put David Bohm´s book down “(his) central underlying theme is the unbroken wholeness of the totality of existence…..” My rare visits to your site so often hit some synchronicty as this. i like this article a lot especially for its accessibility…is this new …probably not? Well I liked it and shall follow up the Hallyn reference with interest. Are they still protesting in Spain? In Palencia? Thanks for this link. Funny, I took a class with Prof. Nguyen when I was an undergraduate at UCF: Existentialism. He introduced me to Kierkegaard and Heidegger. I had no idea he wrote his dissertation on anthropocentrism in Peirce! sure, I thought it might be a good resource, plus good to read some related dissertations before doing one as they are a beast/genre all of their own.